I can already imagine the electric atmosphere in there for a regional, that looks like a really nice arena. It would be pretty great having the regionals in Sioux Falls followed by the Frozen Four in St Paul! 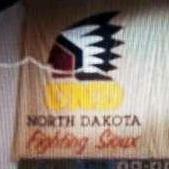 I suppose the NCAA will require Sioux Falls to change their name to something like "Hawk Falls"? Did no one bid on a Midwest regional? I guess Allentown, Pennsylvania is considered "Midwest" now. Did minny not bid for 2018? I assume with hosting the frozen four at the x next year they can't host a regional in the same year. But interesting. Hosting 3 years in a row! So what qualifies as Midwest? Were there no other regional bids in the west, either? Taking an arena that wasn't selected for a West regional and giving them the Midwest regional would make a lot more sense than Allen Town. There must not have been any other West regional.. I win! What do I get? Thanks for the reminder.. marking my calendar for Oct 28, when average Joe's can attempt to get tickets. I predict the new arena in Sioux Falls will put in a bid, and get it, for the next go around of regionals. It's close to Omaha, UND, Mankato, St. Cloud. Looks like a great facility. Plenty of chances for trips to Sioux Falls for UND fans with the Summit League BB Tourney there, too. I may have to do it. So what qualifies as Midwest? I'm in (assuming that the Sioux are in). A little over half the distance to Fargo for this guy. I thought Omaha was putting in something for Century Link (or whatever they call it today). So the Drive for 9 will go through Sioux Falls and Minneapolis next year. Not a bad route! If no one else bids for West Regionals, UND should be puting in a bid to host at the Ralph and nowhere else. 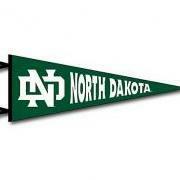 NCAA would have not choice, but to give to UND. I Pine for Nine ... and have a Yen for Ten. No off-campus sites bid for regionals in West or Midwest outside of UND (SF, Fargo) and Penn State (Allentown). And there it is: Some folks did bid ... but on-campus (rolling those dice).